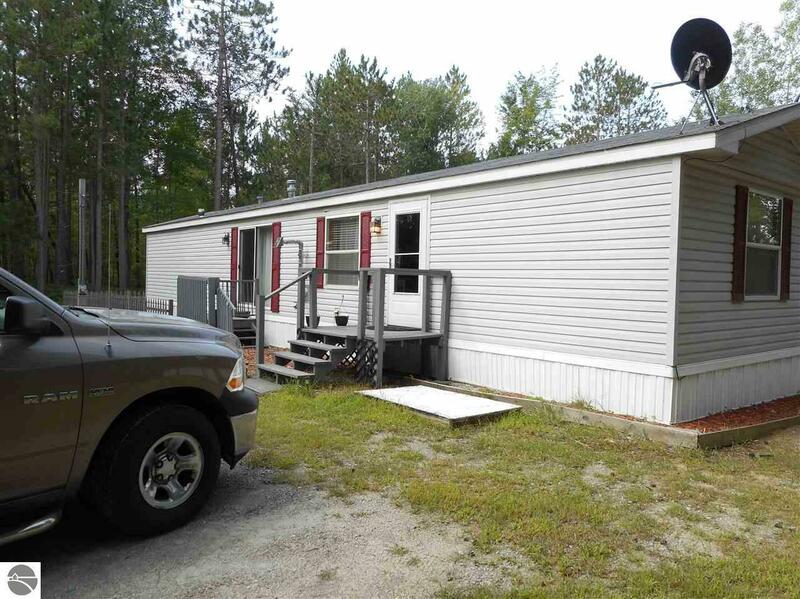 This 2 bedroom, 1 bath manufactured home is set on 10 acres of woods and blueberry patches. Ideal as a summer place, hunting place, or year round home. In the woods you'll find three deer blinds, along with a small pond. Large deck for relaxing and enjoying nature. On those cool evenings you'll gather around the fire pit to roast marsh mellows or hot dogs, while gazing at the stars. Recent updates include a new septic field and tank in 2016, along with paint, tile, and a pellet stove for alternative heat. Both the furnace and well pump were replaced in 2017.